A couple days ago it was my boyfriend's birthday and as always I had a hard time trying to decide what to get him because one: he is kind of picky, and two: after almost three years I ran out of ideas. I'm pretty sure all of you have a special man in your life and you've had this problem at least once so I decided to team up with my boyfriend to share with you his dream birthday wishlist. SPOILER ALERT: I didn't get him any of these stuff because three of them are things he already has and I didn't think about the other two before his birthday. An Smart watch // Un "reloj inteligente"
This is the perfect gift for the "techno enthusiast" it isn't only something that almost every man uses daily but it also have other cool features, you can read your mail on it, check how much have you walked and basically do everything you do with your phone. Este es el regalo perfecto para los amantes de la tecnología, no solo es algo que ellos usan a diario pero ademas pueden hacer otras cosas con el como checar el correo, medir la distancia que caminan y prácticamente lo mismo que harían con el celular. Yo no le encuentro la gracia, pero a ellos les encanta! Lootcrate is a subscription ideal for all the gamers and geeks, it cost $14 per month or less if you get a 3,6 or 12 month recurrent subscription and every month. Every month they send a box 5 or 6 gaming related items, from collectibles to tech gadgets and even clothes. My boyfriend is actually subscribed to this and everytime he gets his "crate" (lootcrate box) it's like christmas at home. 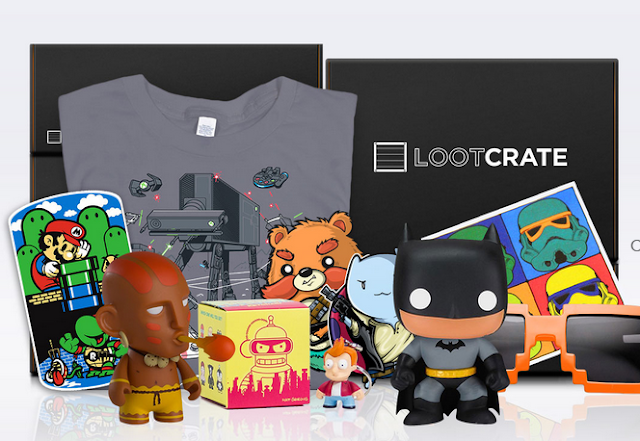 Lootcrate es una suscripción ideal para todos aquellos a los que les gusten los videojuegos, cómics y esas cosas. Cuesta $14 al mes, o un poco menos si se compra por 3, 6 o 12 meses. Lo padre de esta suscripción es que cada mes ellos envian 5 o 6 artículos que pueden ser piezas de colección, figurines, ropa e incluso aparatitos electricos. Mi novio esta suscrito desde hace casi 6 meses y cada que le llega su nueva "crate" (así le dicen a las cajas) es como si fuera navidad. This is an unconventional gift perfect for the man who you always struggle to get a gift for. 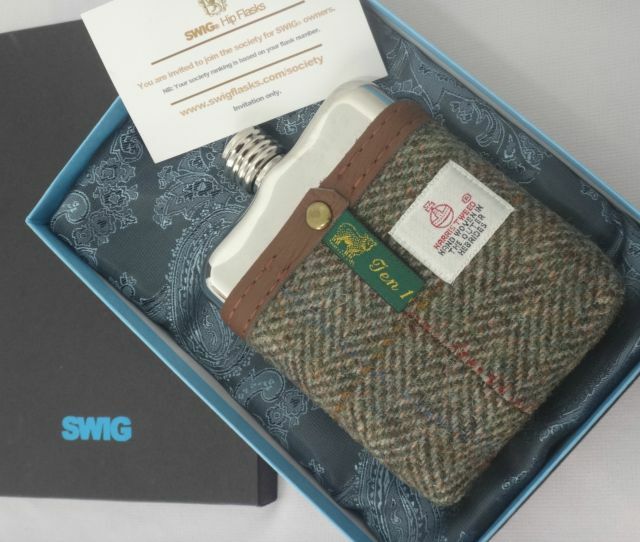 This flask in the picture(g) is from SWIGs a UK based company dedicated to create unique flasks beautiful enough to look really cool on instagram. 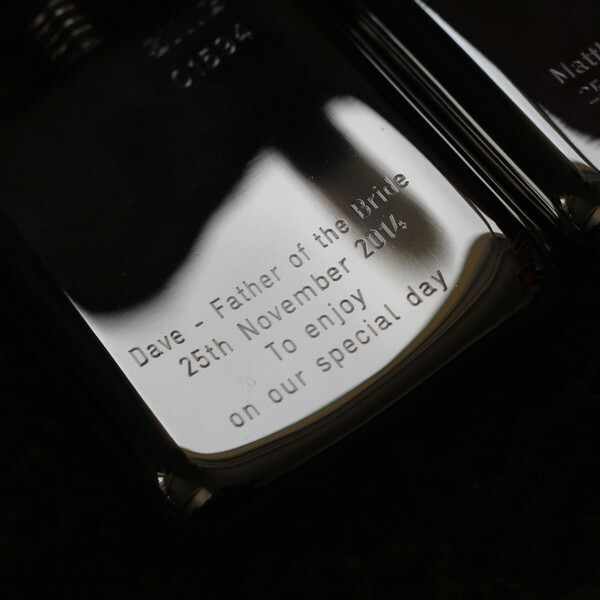 The best part is that you can make this gift extra special because every SWIG flask can be engraved with a personalized note, Don't you think this will be a very original way to send a little love letter? Este definitivamente es un regalo poco común y por lo mismo yo creo que es el regalo ideal para esos hombres a los que batallas pensando en que darles. La cantimplora de la foto en particular es de una tienda de Inglaterra que se llama SWIG's, ellos hacen cantimploras modernas y con mucho estilo que ademas pueden pedirse grabadas con una nota personalizada. No te parece que esta es una manera super original de mandar una cartita de amor? Puntos extra si es la que lleva el nombre y numero de su jugador favorito. If he already have anything from this list, then spending time with him during a movie night is always a good choice. Just make sure to chose his favorite movies, or even better, let him chose them! Don't forget the snacks and a good bottle of wine. Si todo lo demás falla esta siempre es una buena opción, asegúrate de escoger películas que a el le gusten, o aun mejor déjalo escoger! Y no te olvides de los snacks, porque así tengas que ver la trilogía de la guerra de las galaxias por las próximas 8 horas, comiendo se pasa el tiempo rapidito.